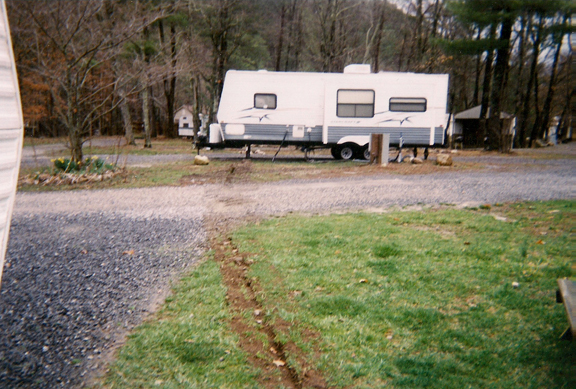 Shentel installed cable TV at ALL RV camp sites at Buckhorne. 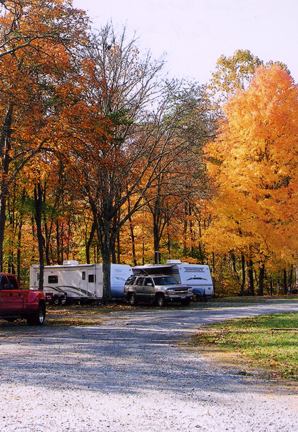 Three pull through RV sites rather than one. Also, break it down as follows: All full hookups have water, sewer, cable TV, and high speed internet service. 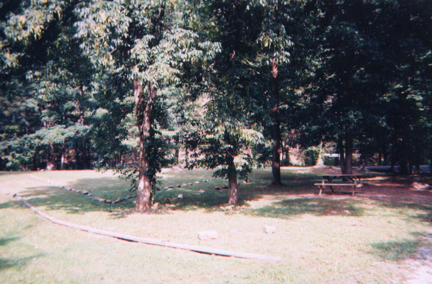 All RV sites also feature a fire ring except for number (15) that is located parallel to the camp store. Four of the full hookup sites are 30 amp sites. 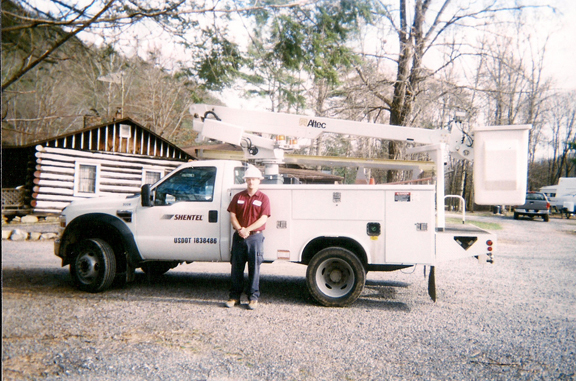 Ten of the full hookup sites offer the choice of 30 amps or 50 amps. These sites are are $35 per night, $210 per week, or $540 per month. 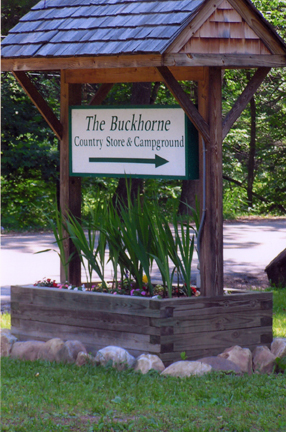 Spring brings numerous campers to the Buckhorne. Each RV site has its own picnic table and trash container. Each site (except number 15-which is located too close to the store) has a fire ring. The campground sign beside Route 629 is 1.6 miles from exit 27 of I-64. 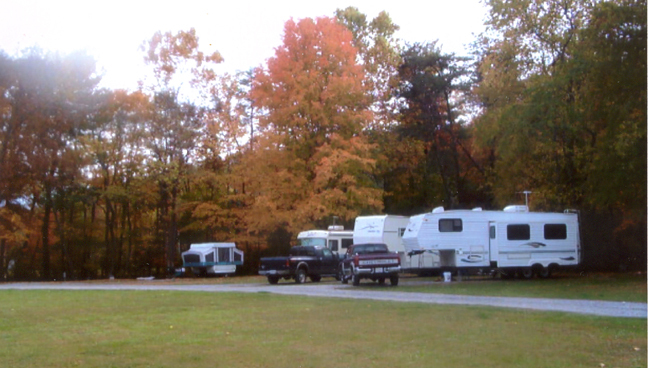 Buckhorne campers enjoy viewing the fall foliage in the Alleghany Highlands. 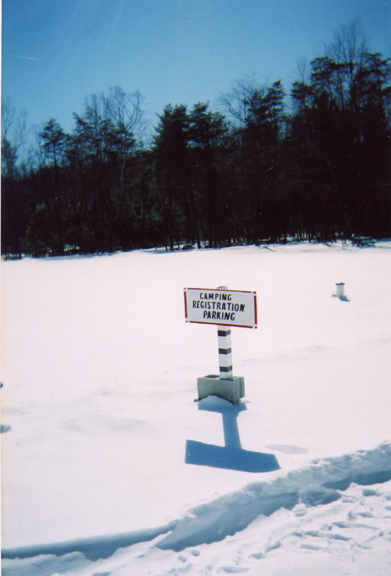 Campers are provided with ample parking while they register. 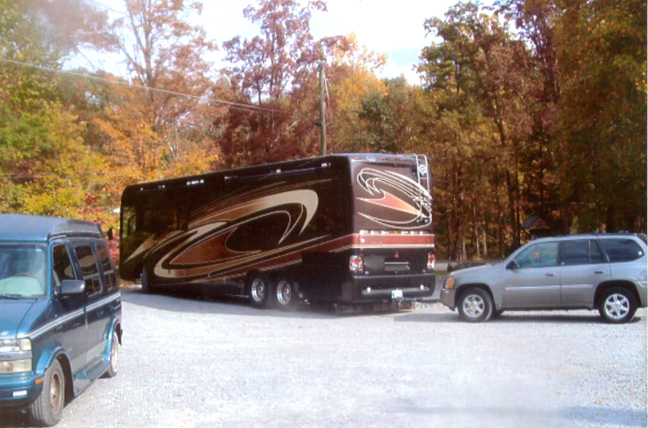 The Fall Foliage Festival is held in Clifton Forge the 3rd weekend of October each year, and campers from far and near enjoy the painters paradise of leaves. 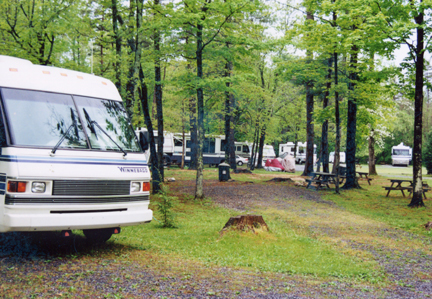 The Buckhorne Campsites can accommodate the largest motor homes on the road. Another contented camper heads back to I-64. 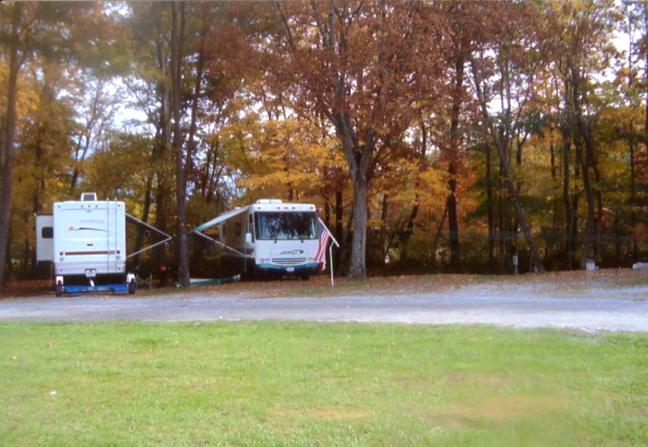 (L-R) A pop up, motor home, and two 5th wheel campers enjoy the fall foliage at the Buckhorne. 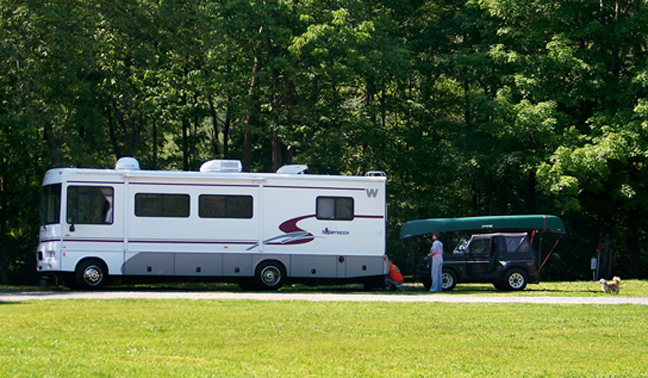 RV campsites at the Buckhorne are wide and deep, big enough to accommodate slide-outs and awnings. ...while another camper just arrives. 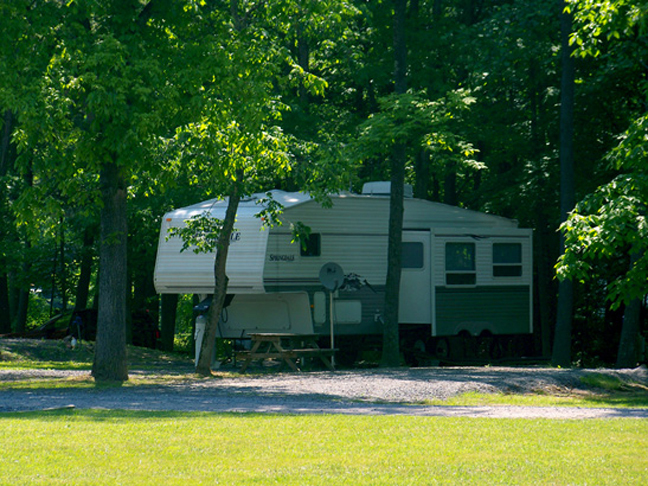 RV campers enjoy level, shaded campsites at the Buckhorne. 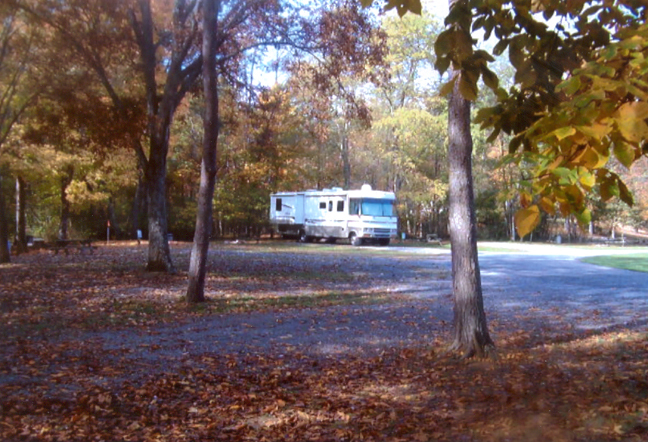 Campsite is conducive for pitching a tent on the RV site. 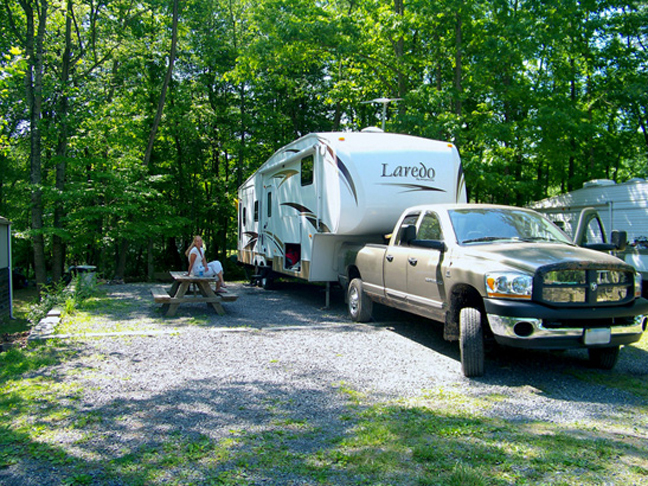 Campsite 16 and the new pull through campsite offer campers the following plug-ins: 110volt or 30 amp or 50 amp.